It’s a shame that so many people can go through college as math majors and minors without ever learning the history of mathematics. Who were Euler and Gauss? Newton and Leibnitz? Euclid? We all know their theorems and mathematical contributions, but rarely do most of us think of the people —with their messy lives, quirks, and stories— behind these brilliant minds. Understanding these lives can provide context to learning math at a whole new level. This story is one that I’ve been told countless times by many a math professor, and it remains my favorite. 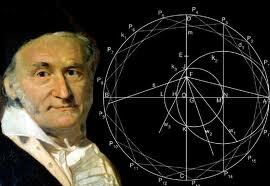 Gauss was quite the precocious child, and was correcting his father’s calculations before most of us knew how to read. At the age of 7, his teacher was looking for a way to keep the class occupied for some time and so told them to sum all the numbers from 1 to 100. This strategy may have worked in almost any classroom in all of history, but unfortunately for this teacher, she had a math prodigy on her hands. Gauss quickly came up with the solution: 5,050. How? He realized that he could pair all the numbers: 1 with 100, 2 with 99, 3 with 98, … , 50 with 51. This made 50 pairs of numbers summing to 101, or 5,050. I guess you could say for him mathematics was really just child’s play! Newton vs. Leibnitz: A lesson in karma? There’s nothing like a good old-fashioned battle of the egos, and the battle over who discovered calculus was quite fierce. 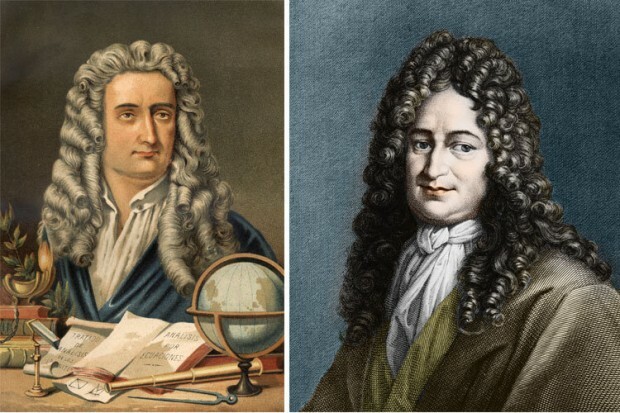 It happened at the turn of the 18th century between Isaac Newton and Gottfried Leibnitz. While formally, Leibnitz was the first to publish his theory of infinitesimal calculus, in retrospect, Newton and his supporters claimed that Leibnitz had plagiarized Newton’s ideas from an earlier manuscript. As with most things in life, those with greater political power usually get their way. So in 1711, at the peak of the battle, the Royal Society came to a conclusion and accused Leibnitz of plagiarism. (Newton was the president of the Royal Society, so this was not very surprising.) However, there is a bit of justice to the story for Team Leibnitz, because nowadays, Leibnitz’s cleaner notation is what is most universally used. As with most historical topics, females are sorely underrepresented in math. However, the few female figures we know about are quite the impressive bunch. 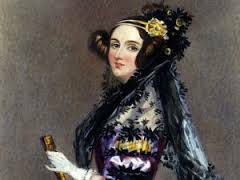 Ada Lovelace, born Ada Byron, was the only legitimate daughter of the poet Lord Byron. Shortly after Ada was born, his wife kicked him out, sick of his infidelity and erratic behavior. Lady Byron, determined that her daughter not follow in her father’s overly emotional ways, enforced education—particularly mathematics. Ada was able to use math a creative outlet, and even designed her own flying machine! As an adult, she corresponded with fellow English mathematician Charles Babbage, who was trying to develop early types of computers. In those letters, Ada described what is considered to the first computer program. So for all those budding female computer scientists, know that a woman did it first! For those who love mathematics (such as myself, and other math tutors at MIT), learning about these individuals’ lives can make you feel more connected to the mathematical community. For those who find mathematics dry and intangible, their stories are great way to bring the subject to life. Mathematicians’ stories are interwoven and complex. Mathematics was not discovered in a vacuum, so it’s quite a shame that we often learn it without context, inside a vacuum! If you need a motivational boost in your problem solving, feel free to reach out and ask one of our advanced math tutors to help. The Cambridge Coaching team is largely made up of tutors from Harvard and MIT. We offer online tutoring around the world, and in-person math tutoring in Boston and New York.